In March 1600, the 5th Year of the Keicho era (3 years before Edo Shogunate was founded by Ieyasu Tokugawa) Kayama Sogen priests built the Sofuku Hermitage in Nihonbashi Hamacho. In 1613 (the 18th year of the Keicho era) Lord Sakai Utanokami Tadayo of Ueno Umayabashi converted to Buddhism and built Sofukuji as the main Soneiji temple in Konodai. 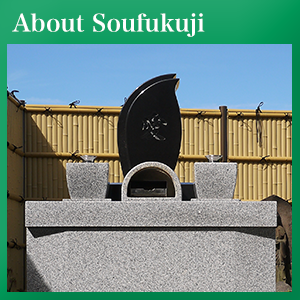 In the Year 1657, Sofukuji was lost to the great fire of Meireki. 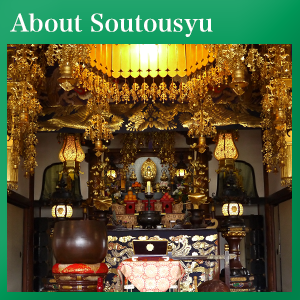 In the reign of Sakai Tadakiyo, grandson of Tadayo, the temple was enlarged by approximately 4,300 square metres and was rebuilt in Asakua Matsukiyo town. 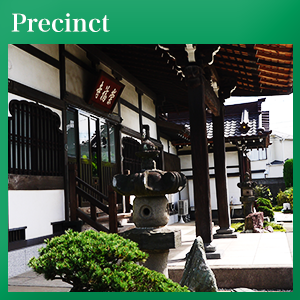 Since then, Sofukuji temple has prospered as the Sakai Clan’s temple in Edo. Therefore, Sofukuji bears the Sakai clan’s crest as the temple emblem. ● 8 minutes on foot from Keisei Takasago station. Copyright 2018 SOUFUKUJI ALL Rights Reserved.